The famous glass cube Apple store on Fifth Avenue in New York brought in an estimated $350 million in sales last year. The flagship store has been going through a renovation process due to be finished at the end of 2018 costing the company multiple tens of millions of $. On top of the regular costs associated with running a store in one of the most expensive and prestigious shopping streets in the country. Two weeks ago Jet.com became an authorized Apple retailer. While Walmart, which owns Jet.com, was already a major Apple retail channel, it’s a win for Walmart against Amazon since they do not sell any Apple products. Putting that battle aside, the cost for Apple to open this new “store”? Zero. For as long as retail existed there was a cost associated with being a retailer. There was rent to pay, maintenance to do, and staff to hire. Let alone the experience required. The retail industry even created a metric - sales per square foot - to measure the performance of a retail location. Apple for example is the highest grossing retailer on Fifth Avenue, helped by having one of the most recognized brands in the world. The internet took most of that cost away. Some retailers still do pay web development agencies to create an e-commerce website, but many are satisfied with services offered by companies like Shopify, BigCommerce, Magento, WooCommerce, Wix, etc. They allow retailers to launch a “store” online in a matter of minutes for less than $50/month. Which in reality has a cost of zero. Unlike opening physical brick-and-mortar stores attracting customers online can be automated using advertising. Not only opening a store online can be done in an instant, it can start generating sales from day one thanks to targeted advertising. There are also marketplaces like Amazon and Walmart. There are no separate stores for each retailer there, but they instead offer instant access to tens of millions of shoppers. For that they charge a fee - the marketplace rent - but save the retailer from having to do their own marketing. The fixed costs are zero here too. By reducing the time, experience, and capital required to be a retailer, the internet has enabled everyone to be a retailer. This is why on Amazon only 20,000 sellers have built a business with sales exceeding $1,000,000/year, while millions more sell on the platform. The cost to become a retailer on a marketplace is zero and thus many try. And so is creating a Shopify store. That’s why more than 600,000 of them exist. Becoming a retailer today is a matter of minutes at zero cost. It used to take months, tens of thousands of $, a team, and years of experience. But there is a challenge - what to sell. While becoming a retailer has become easier, that’s only half of the retail supply and demand puzzle. Sourcing products to sell cannot be instant. However, shockingly to many, that part is changing too. The mystery of sourcing from China is no more. There are thousands of videos ready to teach about it on YouTube. And while experienced sellers private-label their goods (which requires some capital), many more dropship straight from China. AliExpress marketplace (owned by Alibaba) is often used for dropshipping. When a customer orders from a Shopify-hosted store, an automated script transfers the shopper’s shipping details to AliExpress. The store owner is not involved in the retail transaction outside of collecting the markup. This sounds like a dream business for many and thus has attracted large groups of sellers using advertising to promote their stores. The success of such a Shopify store depends on the ability to build an audience. The value-add of a dropshipper comes from the ability to expose customers to products they would like. While this sounds simple, it’s not. It involves building a niche audience, reaching them using social media and advertising, having a store with a trustworthy brand, finding the right types of products, etc. Dropshipping is the art of connecting the pool of hundreds of millions of shoppers with the pool of millions of products at the right intersection point. Recently people not in the retail business, but with a an audience have realized that they can become a brand and a retailer too. An increasing amount of Instagram and Facebook influencers are not only promoting brands, but also creating their own brands for products they can sell themselves. Or more realistically have someone else dropship them. Marketplaces like Alibaba and AliExpress have made sourcing products easier than ever before. Sure, many of them are of questionable quality and there are other issues involved, but in the end they enable being a brand without capital or inventory risk. Those brands do not have the weight Coca Cola, Nike or Apple do, but sell products powered by a different set of mechanisms. They are often interchangeable with dozens other brands though. Becoming a brand today is a matter of minutes at zero cost. It used to take months, tens of thousands of $, a team, and years of experience. Retail didn’t change. It is still buy low, sell high(-er). But now everyone can be in it. Becoming a retailer is a matter of creating a Shopify store or joining the Amazon marketplace. 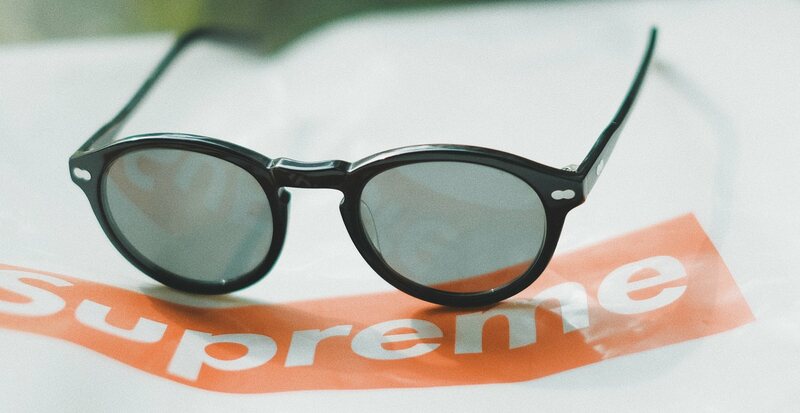 Becoming a brand is a matter of finding the right product on AliExpress. Neither of those will build a successful business without any effort and many of those will never grow to be anything. But they take little investment compared to what it used to take. From a consumer point of view this is confusing. That’s why most recently articles like “The Strange Brands in Your Instagram Feed” in The Atlantic or “The Mystery of the $70 Hoodie That’s All Over Facebook” in The Wall Street Journal started to appear. It is a strange chaos of retail arbitrage. But why wouldn’t it be, given how low the barrier of entry is. It’s never been easier to enter retail like it is today. It’s never been harder to be the next Apple.